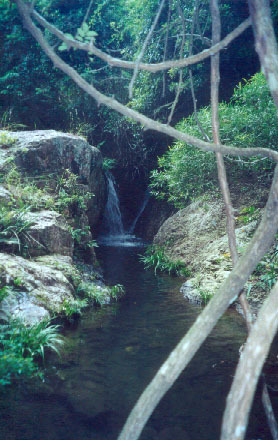 Tsing Tam stream flows from the west of Tsuen Kam Au to Tsing Tam Upper Reservoir. It is a rather wide stream, however you cannot find grand view along the stream. There are no big waterfalls and cliffs. 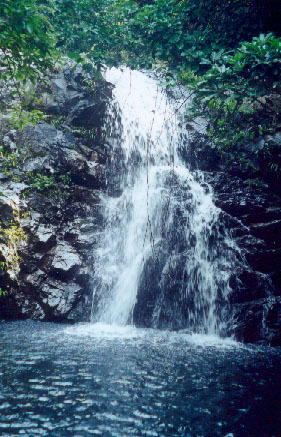 On the other hand, you will meet many relatively short and convoluting waterfalls. 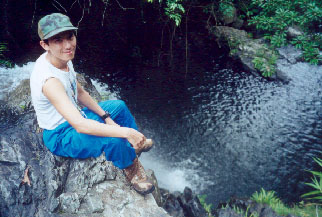 There are many small water pools, but they are not good for swimming. All those create a sense of placid for visitors. There are red ribbons along the stream to guide you through the journey. 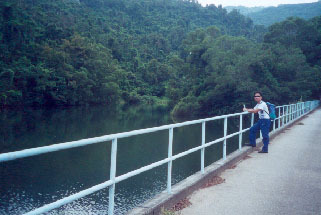 The upper pictures is the Upper Tsing Tam Reservoir. 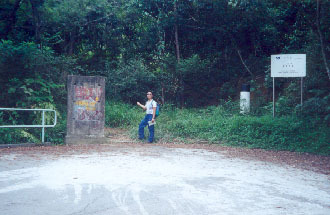 On one end of the dam is the entrance of the Tsing Tam stream. 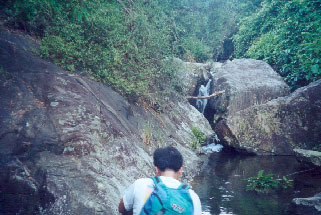 There are many short falls like this along the stream. 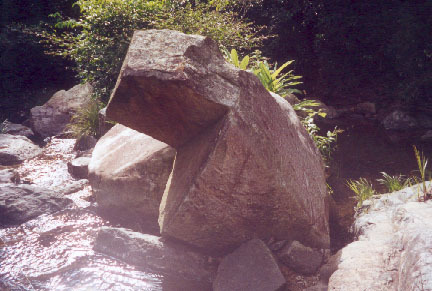 There is a footpath running on the top of the slanting rock. Here you will meet the tallest waterfalls in this stream. It is about 7M high. The associated water pool is in dark green colour. I guess the pool is of several meters deep. 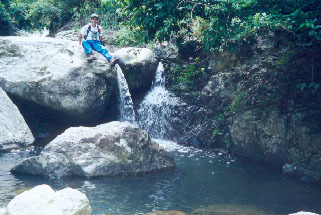 This guy is sitting on th top of this waterfall. Lonely water pillars hide inside lush vegetation. This is a very interesting rocks. It looks as if it was shaped by a giant sharp blade. 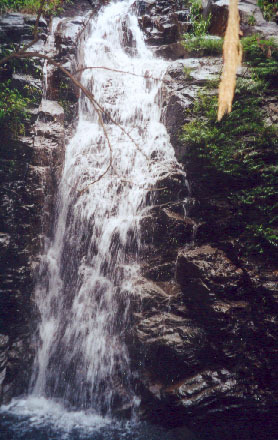 Here is another mid-sized waterfall. From this point onwards, you will find the stream getting narrower. Just follow the red ribbon you will reach the main hiking trail pretty soon.